Women in general love to flaunt their precious jewellery and look for any and every opportunity to do so. From those that are passed on as heirloom to those that are lovingly gifted by our close ones; our love affair with jewels can never cease to end! Every now and then we set out to buy our own jewellery, especially when we are to get married and that’s when choosing the right and most exquisite piece of jewllery becomes a daunting task. Indian bridal jewellery is a vast book of options and it has design ideas for every type of bride. It’s a difficult choice between colour, look and design, more difficult if you want to look unique on your wedding day! If you’re the trendy and hip bride of today, tired of the traditional look of wedding jewellery, we’ve got something special in store for you. Asymmetrical bridal jewellery design is crashing the Indian jewellery market at an unparalleled speed. Whether you love gold, silver, diamonds, pearls, kundans, polki or emeralds, you’re sure to find a classic asymmetrical necklace design. Scroll as we share with you gorge asymmetrical necklace designs in Indian bridal jewellery, which you can find in designer stores or local shops – if not, this lookbook can be your guide that you can instantly hand over to a jeweler who specializes in imitation jewellery to create your own exquisite piece. >Bridal Jewellery Trends We Love – Tassel Earrings! 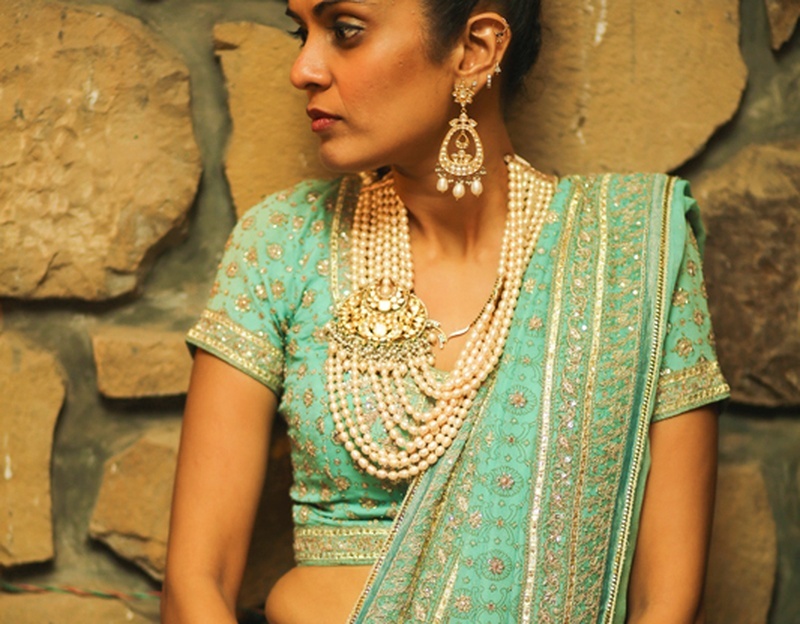 >Are Half Matha Pattis the Newest Bridal Jewellery Trend?